3, Jalan PJS11/5, Bandar Sunway. 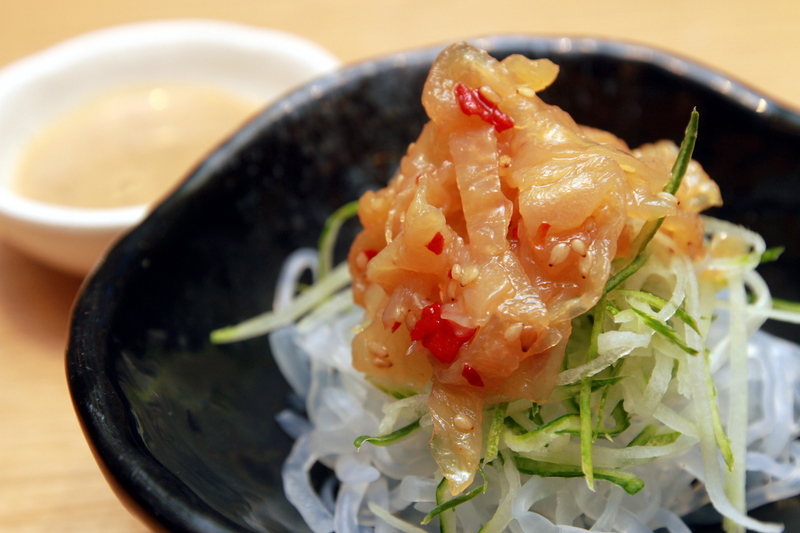 To celebrate their 20th anniversary, Sushi King has unveiled their new grand menu this month, which promises more variety and options for diners, with over 60 new items. 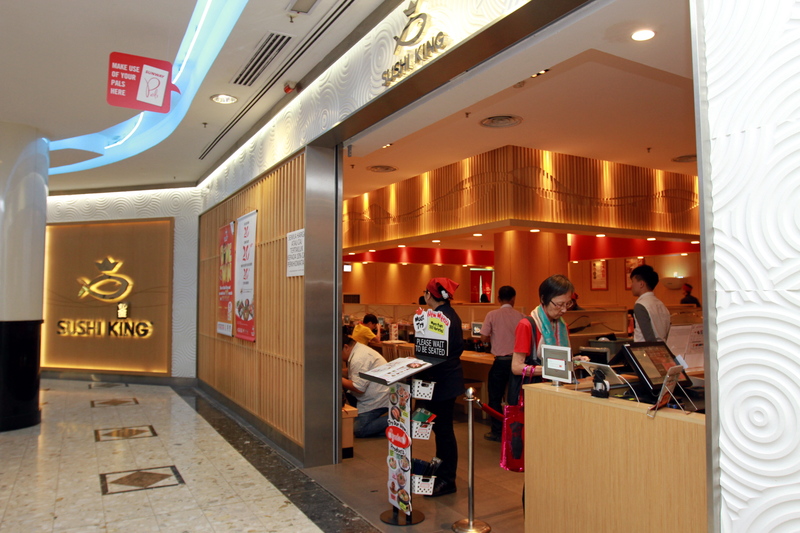 Opening its doors to customers since 1995, Sushi King is also known as the pioneer kaiten sushi, or the first revolving sushi restaurant in the country. It is now the largest Japanese kaiten chain of restaurants in the country, with more than 90 restaurants nationwide. The exterior of Sushi King in Sunway Pyramid. “The 11 signature items consists of both new and old dishes and these dishes are chosen by our customers,” said Sushi King Sdn Bhd assistant marketing manager Carmine Chan. She explained that a food tasting session was done, where customers picked what they thought was a signature dish. 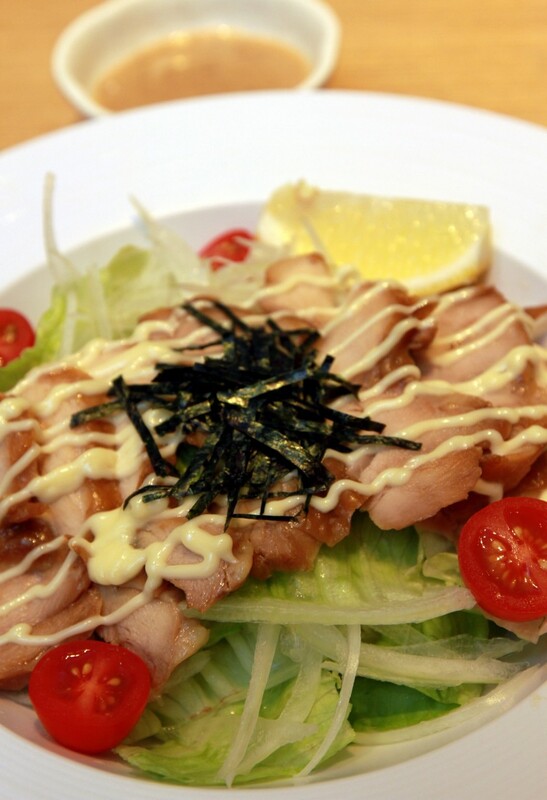 Among their new signature dishes is the Teriyaki Chicken Salad, which is a healthy option for diners. The chicken is grilled and topped with lots of greens and seaweed. Teriyaki Chicken Salad: Grilled chicken topped on a bed of greens. Also, they have their Premium Salmon dish, which can be found on the conveyor belt in the restaurant. This freshly cut raw Norwegian salmon is flown in fresh to give diners another healthy option. 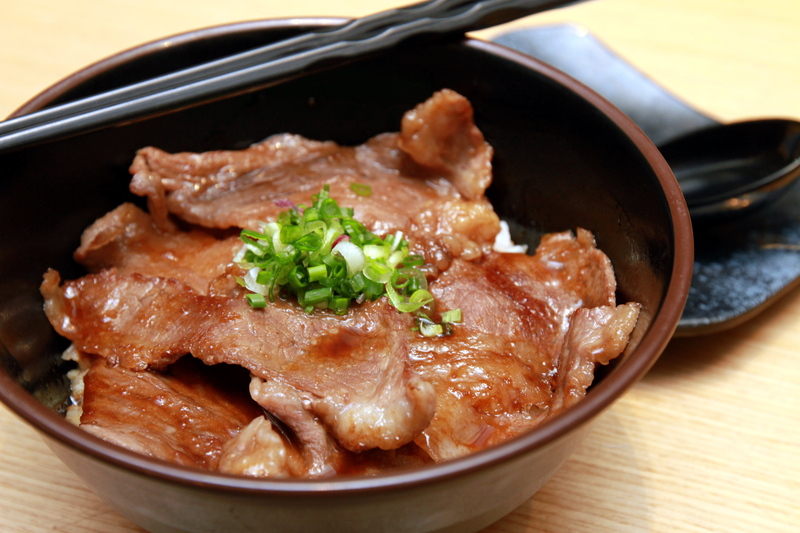 The grand menu also sees a new twist to the traditional Gyu Don (beef rice bowl) – served drizzled with barbecue sauce and seaweed. Sushi King adds the Soft Shell Crab Tempura to their signature dish list, and it has nothing but softshell crabs. One other must-try addition is their Rice Burger, which comes in a selection of either chicken, beef or seafood. Here meat patties are served sandwiched between two Japanese rice patties, in place of burger buns, and fresh greens with a drizzle of their home sauce. “We also made some changes to our Japanese curry recipe. “Normally, Japanese curry is sweet but we wanted to suit local taste buds and made it spicy,” she said. 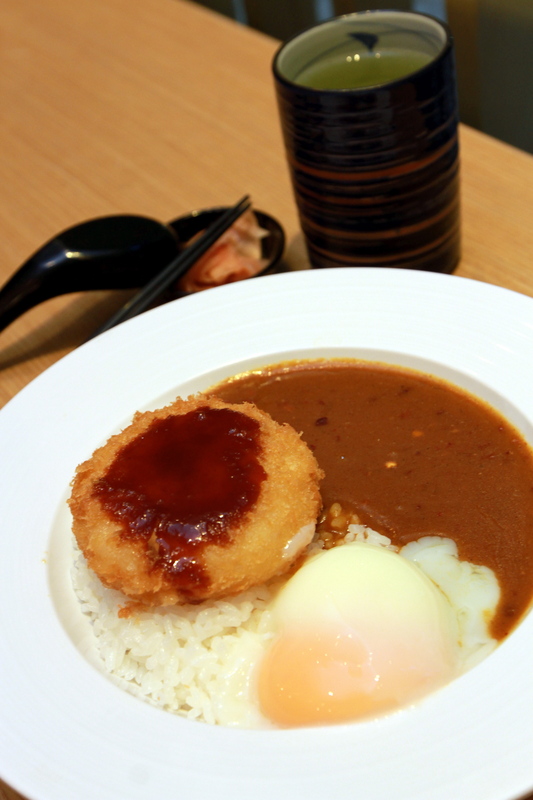 Ebi Katsu curry, Japanese curry served with poached egg and prawn patty. The new enhanced Japanese curry was spicier than before but it has not lost its fragrance. One other dish which caught our eye was the Chicken Nanban. This fried chicken tasted a little on the sour side because of the lemon but also a little sweet because of the mayonnaise. “In addition, we have a new section in our menu called Mix and Match, where customers can pick and choose their own set meals,” she said. “There are countless combinations for our customers to mix and match with,” she added. To help promote their new menu, the eatery is holding a contest rewarding winners with free meals for a year. With only a minimum spend of RM80 in a single receipt, diners will get one entry, and additional entries are given with each signature dish ordered. “So if you order eight signature items from our menu and your total bill exceeds RM80, you will get nine entries,” she said. She added that there will not only be one, but 40 winners. The first 20 winners will be chosen from phase one of the contest period (now until June 15) while another 20 will be picked from phase two (June 16 to July 31). Entries must be submitted by SMS to 33387. Only one SMS is required for each receipt.